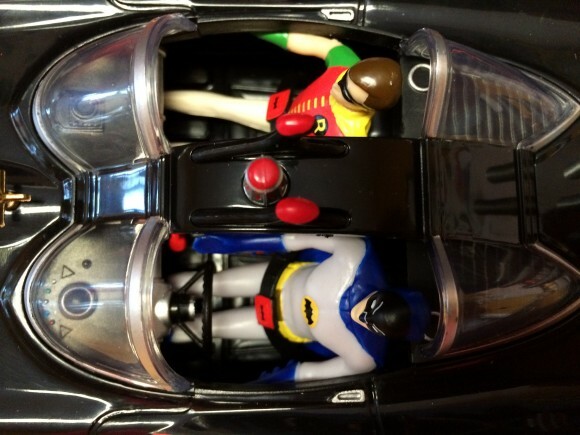 What BATMAN ’66 Figures Do You Want Next? 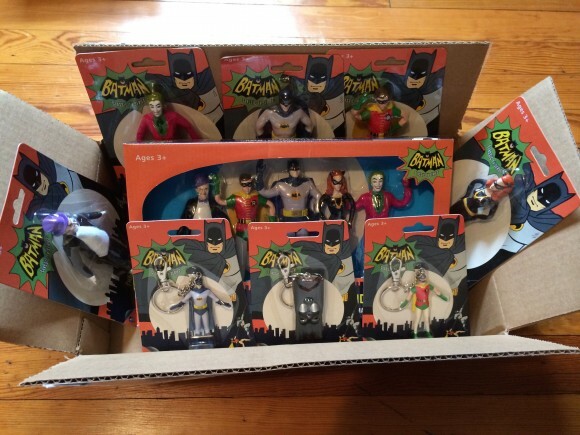 Home » ACTION FIGURES & MERCH » What BATMAN ’66 Figures Do You Want Next? NJ Croce is the manufacturer of the most underrated action figures on the market. I say underrated because bendable figures are something of a niche. The thing is, these guys — who are the Gumby people — are the best there is at what they do. Their items are high-quality, affordable, accurate and creative. That’s about as good a compliment you can give, right? My favorite line of theirs — unsurprisingly — is their Batman ’66 line. They’ve produced all the heavyweights: Batman, Robin, Batgirl, Joker, Penguin, Riddler and Catwoman, plus an excellent Batmobile, as well as Batman, Robin and Batmobile keychains. Now, they want to know what you want. So it’s your turn: Who do you want to see the most? Mind you, they have to fall under the Warner Brothers license, so Alfred, Mr. Freeze and King Tut are fair game, for example, but Aunt Harriet, the Siren and the Minstrel are not. Leave a comment below or in whichever social-media thread you found this. Give us two or three choices, not 10, because it’ll really help to narrow it down. I’ll tally up the responses this week and post a follow-up story toward the end of this 50th anniversary celebration. And, more importantly, I’ll send the info on to NJ Croce. These guys do listen, so tell us who you’re looking for to further populate your personal Gotham City. Oh, and make sure you check out our other BATMAN ’66 50th anniversary festivities this week — including our Top 13 Episode Countdown — here. King Tut, Egghead and Mr.Freeze for sure. Eartha’s Catwoman and maybe Riddler in the suit and hat. I’m guessing Chandell is off limits too? Catwoman without a mask, Riddler wearing a mask, Batmobile and Batcycles for the standard scale figures. I want some 3.75″ figures. The Arkham ’66 skin version of Bats in Mattel’s Multiverse line didn’t do it for me. As a ‘box set’ kind of collector, I’d like to see a set of figurines made up of characters that are available only on single cards at the moment. As a bonus (ie: to annoy collectors), maybe include a new character like Bookworm or King Tut. Personally I’d like to see an Eartha Kitt Catwoman or any of the Mr. Freeze’s make their way into the range somewhere too. 1/12 Scale Jokermobile and Catwoman car, PLEASE! The Riddler in the Green business suit and derby hat. defintly king tut. for he would be a hoot plus egg head , and maybe mad hatter and marsha queen of diamonds. plus got to have alfred to keep the place clean and answer the batphone and help batgirl keep her cover. interesting to learn that characters like aunt harriet and chandel or siren can’t be done as figures proably because warners doesn’t have the rights to their likenesses. Egghead, Shame, Mad Hatter, Can’t do the Siren – darn! Batgirl’s Batcycle. How about real obscure and do a Lesley Gore Pussycat.